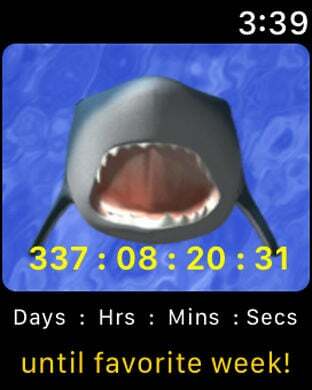 Enjoy counting down the Days, Hours, Minutes, and Seconds until shark lovers favorite week! As an added bonus we've included a very lite version of our popular shark game "Bite Me - Shark Attack". * In order to post to Facebook and Twitter, your device must be integrated with Facebook and/or Twitter and you must have a Facebook and/or Twitter account. ** We work very hard to make our apps the best they can be and want our users to have a great user experience. If you have ideas on how to make this app better, or If you are experiencing technical problems with this app, please contact us by pressing the "App Support" button.